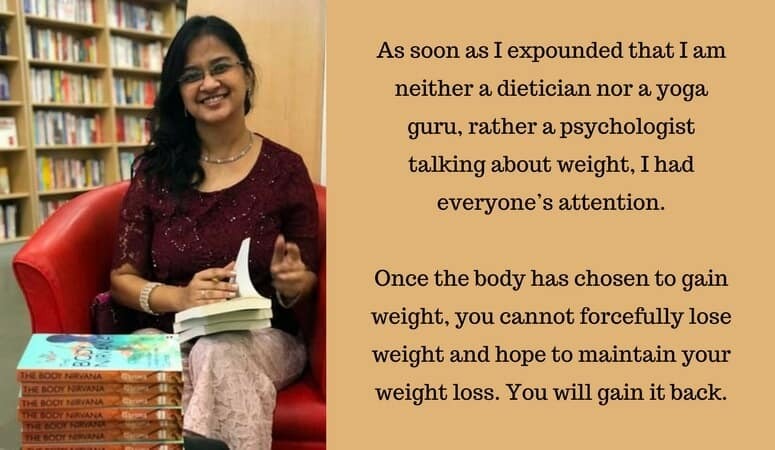 In this interview, Garima Gupta demystifies many myths about weight-loss and gives an insight into holistic weight loss. She is a mind-body wellness coach and weight loss specialist with over 15 years of experience and her 2nd book, The Body Nirvana has been recently published. Her background in psychology gives her a unique insight into how dieting or exercise will not help anyone lose weight unless their mind, too, is looked after. She encourages people of today to lose weight holistically and look after their bodies for their bright future. Her articles have featured on websites such as the Daily-O, Women’s Web, Momspresso etc. bookGeeks: Tell us something about Garima as a person. 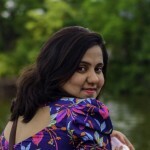 Garima: I am a regular Joe Blogg, brought up in a disciplined Army household. My parents inculcated idealism, love of my country, scientific temperament, and a respect for the creative or finer aspects of life in me. Both my parents passionately helped other people in every way possible. My dad is a doctor and to this day practices with devotion. So, I suppose, the desire to join a helping profession was only natural for both my brother and me. My brother became an allopath like Dad. They both often talked about their frustration that most people needed emotional guidance more than pills. I responded to that by devoting myself to the study of the mind-body connection. I love to study the human person as a whole and the deep connection we have with Nature. I believe the only way to understand our present condition is to see not only the Mind and Body together but to see the Person and Nature together. Since I study human emotions closely my other passion besides health is parenting. bookGeeks: You have won several awards and accolades in the field of psychology. Would you like to tell us about them? Garima: I believe it is necessary for us to collaborate with other experts in our field. It keeps us honest. And also ensures we are not reinventing the wheel but are indeed moving forward in our respective endeavours. My distinctions come from this sense of collaboration with the brightest minds. I am a permanent member of the distinguished Indian Psychiatric Society as also the New Zealand Association for Positive Psychology. The individual awards are simply a reflection of the fact that someone has to be first. I don’t wish to dwell on those. I have seen the power of cooperation and so don’t identify with the individual competitive accomplishments. Our most important achievement is the reward of helping someone, not the award won by defeating someone. bookGeeks: Our readers would love to know about your latest book, The Body Nirvana. Can you shed some light on it? What is it that sets this book apart from other books on weight loss? Garima: The subtext of The Body Nirvana book says it most succinctly – More Than Just A Weight-Loss Book. Funnily, the first time I pitched the idea of this book, it was rejected because publishers said that the topic of weight-loss has been beaten to death. But as soon as I expounded that I am neither a dietician nor a yoga guru, rather a psychologist talking about weight, I had everyone’s attention. Aren't you overwhelmed by all the health advice out there? There are plenty of weight-loss books too. I've read so many myself! Dieticians and yoga practitioners telling unhealthy people what they are eating and doing wrong. But these books just make me feel ashamed rather than inspired. Food & activity that give great results to you may do nothing for me, or worse, feel totally impractical! The truth is, weight is an emotional topic. The body only responds when the mind is ready. People with overweight bodies are in great distress due to their shape. We want hand-holding, and meaningful guidance, not a sports-coach yelling at us to endure the pain and have more will-power. If you’ve tried a number of different books and weight-loss strategies, and still find that something is missing, then The Body Nirvana: More Than Just A Weight Loss Book may cut it for you. It is written by and for the common Indian. As a life coach, I understand an urban Indian’s pressures, delights and circumstances. The book holds hands to show HOW to make the changes that we all KNOW are good for us: HOW to make time, HOW to feel good about ourselves, HOW to have more self-love, HOW to forgive and move on, and most decisively, possibly, HOW to make room for a healthier lifestyle within our priorities & commitments. Haven’t you wondered why waking up for a run becomes fiendishly difficult? HINT: It is not about a lack of will-power. The Body Nirvana has 10 chapters, first two explaining the Mind-Body connection and how health (and ill-health) is created by the mind. The next 8 give tiny steps, no more than 10-15 mins a day, to take you HAPPILY toward holistic health. bookGeeks: What according to you is the biggest myth when it comes to weight loss and how to overcome or avoid it? Garima: The biggest myth is that we gain weight because we start to eat too much. If you look back in your life at the time you started gaining weight rapidly, you will find that you were eating the same as before and yet you gained weight. Now look at your emotional state and I can predict that you gained weight when you were going through a difficult emotional period. I have seen people really reduce their calorie intake and yet not lose weight. Our body is brilliant at managing with whatever we give it. Once the body has chosen to gain weight, you cannot forcefully lose weight and hope to maintain your weight loss. You will gain it back. What you have to do is to give reasons to your body for choosing a lower weight. First, your body chooses a lower weight, then your diet and exercise give you permanent weight loss. How to make the body choose lower weight? That is what The Body Nirvana is about. bookGeeks: You are a psychologist and an author by profession but singer by passion. Tell us something about this artistic side of yours. Garima: Hahaha! Yes, I am a classically trained singer and kathak dancer. I totally love singing old Hindi film songs and have made a YouTube channel of my songs for my family to enjoy. 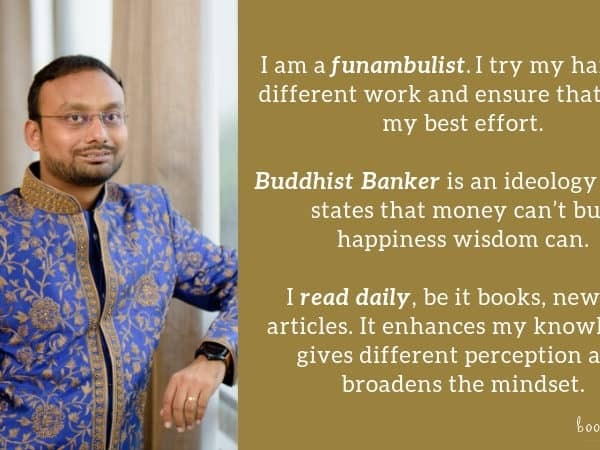 I am a strong proponent of developing a personal hobby, something that we love to do and that energises us. I even made a video about the impact of our hobbies on health and how a good hobby can give us great holistic health benefits. Singing and dancing are my way of walking the talk! 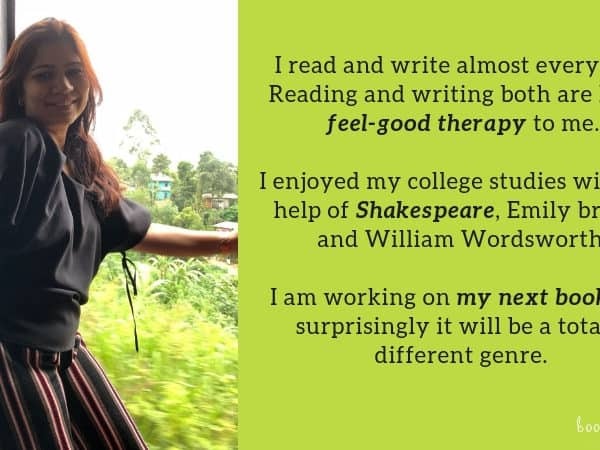 bookGeeks: How do you manage your time between so many roles – wellness coach, psychologist, writer, wife and mother? Garima: You know I get that question so many times! Somehow we believe that time is this constant value and it is not enough. This is what famous motivational author Louise Hay would call a ‘scarcity mindset’. Time is not an absolute. Take a test: Start a timer for 2 minutes and day-dream about your favourite holiday destination. Next, start a 2 min timer and simply sit and observe each breath. What was your experience? The first time, the timer rang so quickly, while the second time you kept checking that why the timer is still not ringing! We experience time according to how engaged we are at the moment. Ok, not to get all philosophical, I believe “I don’t have time” is just a way of saying, “I’m not mindful of the moments. I am not mindful of how I am spending moments of time”. If 2 minutes can seem to be so long when you have to sit and observe your breath then imagine what all can be done in 8 hours of work! Time is there. Just start. bookGeeks: The Body Nirvana is your second book. Tell us something about your first book, Birth of Sibling. Also, are you currently working on any new book? Garima: Birth of Sibling is an e-book you can get from Amazon. It is for the second-time parent. Second-time parents are doubly hassled because not only are they dealing with an utterly dependent newborn but they also have a young child who still needs plenty of attention. Usually, the first child starts exhibiting lots of bad behaviour and parents are at a loss to understand this change. It is this first child who has the toughest time because he or she goes straight from being the one-and-only apple of the eye to being ignored. In just a few pages, Birth of Sibling teaches parents how to meet the needs of the first child so the child is well-adjusted and happy. It minimizes sibling rivalry and gives the siblings the best chance to have a happy, healthy relationship with each other. I’m currently working on 2 books. One is like The Body Nirvana but addressed to teens. I wish to inoculate teens against body-shaming and poor body image. The second one is an extensive book on parenting. As a psychologist and mom of two, I am writing to help answer basic questions that bother Parents. Things like frequent illness, fussy earring, too much screen, aggression etc. bookGeeks: Who or what is your inspiration when it comes to writing? Garima: My family. Including the extended family. My writing usually begins as an answer to a question someone asked me. So in a sense, it is my desire to help them, by sharing whatever I know, that triggers my writing. 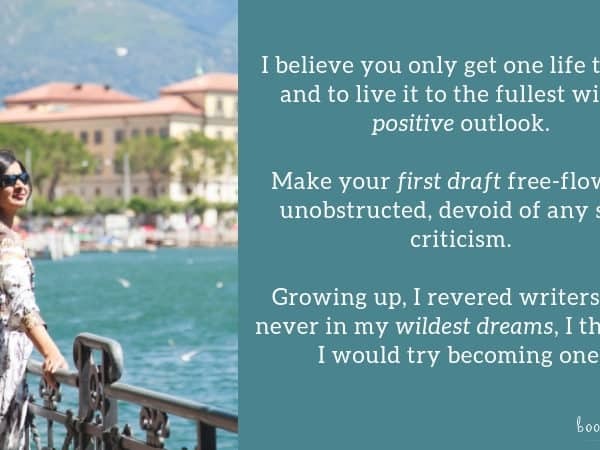 Secondly when I observe people around me and find well-meaning people make bad choices because of faulty knowledge in popular media, then too I am inspired to write. 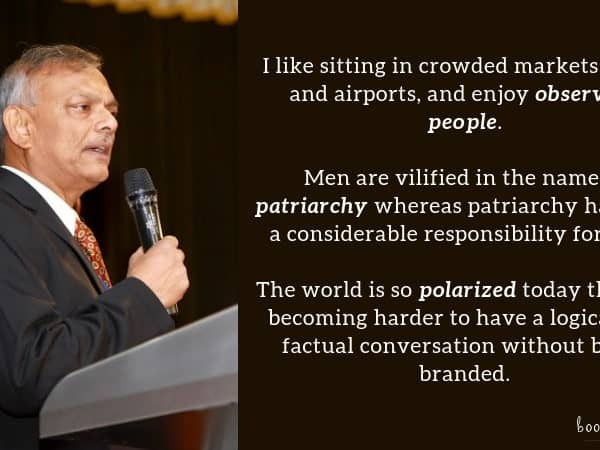 Which is why, besides books, I extensively write articles for popular media like Daily-O, Women’s Web, Momspresso etc. bookGeeks: If given a chance, what would be the one thing that you would change in the Indian publishing industry? Garima: I would ask them to be less snobbish. I have communicated with some publishing houses in the US and many in India. It is sad to see that many of them don’t feel obliged to reply to aspiring authors. They literally behave like they sit in ivory towers. I understand the challenges of the publishing industry, more now than before. Yet I find it unpardonable that they act more like Messiahs than service providers. bookGeeks: Who and which are your personal favourites when it comes to wellness coaches and weight loss books? Garima: Wellness and Health is handled so well by Louise Hay! She made the mind-body connection so well, may her soul rest in peace. Marc David, bestselling author and Founder of The Institute for the Psychology of Eating has also got it right when he talks about the importance of our Mind in Nutrition. Ultimately for my personal wellbeing, I extensively follow Sadhguru Jaggi’s work. Baba Ramdev’s easy style of teaching helped bring pranayama into my daily routine. Om Swami’s The Wellness Sense is another wonderful book on the tenets of Ayurveda and Yogic science on holistic health. Excellent. Wonderfully expressed. It’s really the power of the mind, and a holistic approach to weight loss that’s most effective. I don’t have any weight issue. In fact, my weight has been constant for forty years or so. Yet, ever since I acquired a copy of Body Nirvana at the book launch it has become a permanent companion at my bedside table. For me Body Nirvana is not a weight loss book. It is a book that has been helping me understand the complex relationship between mind and body in my own laymans language and helping me see life in a better perspective. Garima could have easily chosen to write a tome on the subject for the benefit of the experts. She instead chose to write a book for people like me. I think that her way of paying back to the society. That’s true. Body Nirvana is an excellent read that should be on everybody’s shelf.